Specifications:Length: 131-1/2"Width: 3/4"Type: Carbon Tool SteelTPI: 3 HookGauge: 0.032"
Bought the blade to cut up some walnut for bowl blanks. The log was 14 inches thick, the blade cut threw it like butter. I needed to replace a blade that was original to my Grizzly Band saw that was too small for my wood working needs. This is the perfect blade and it works exceptionally well. Cut 7 inch thick managing nice and straight with a fairly smooth finish. Not a lot of planing required. 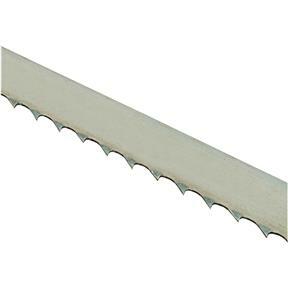 I just bought a new Grizzly G0513x2 band saw and purchased this blade for resawing. Have only used it for a few test runs, but it tracked well and looks like it will meet my needs. i got this for milling up stock into turning blanks and its perfect for that. It tears through everything no matter how thick or hard of wood. I bought this at the same time as I got my 0513X2. I heard the stock blade was a bit of a dud but figured for a bandsaw noobie I would go with the less expensive blades to start. No worries there as I sliced up a black walnut tree of a friends that came down in a storm. On to a nice birch log next. Time will tell on longevity.. This blade chews right through oak and maple. I cut some green oak with it and it never missed a beat. The grizzly 18 inch saw is a beast with this blade. So far so good, I've been ripping knotty pine for trim, with no problem. Bought it for my bandsaw as a backup spare, but well made and good quality. Well done!! 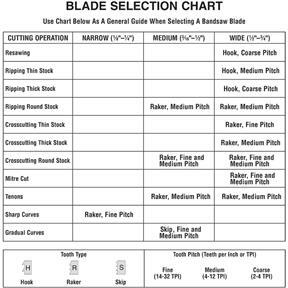 I purchased this 3TPI hook bandsaw blade about a month ago and have used it several time to resaw several piece of wood and to slice several logs that to make place settings and table center settings for a nieces wedding. 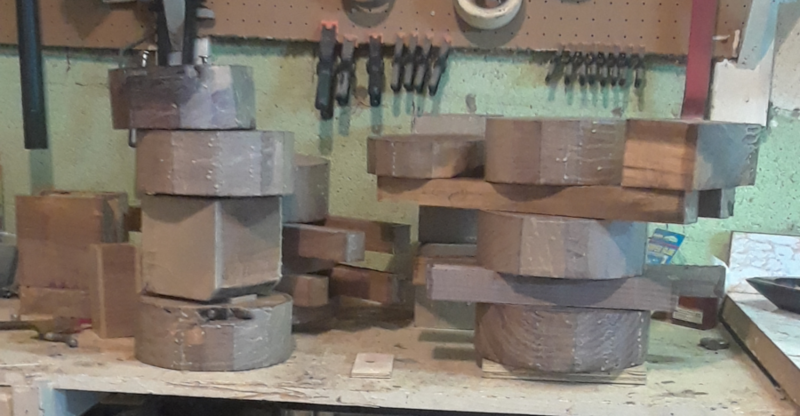 This new blade made all the cuts that I needed and cut the oak logs into nice thin slices for coasters and table center pieces. The projects turned out great. Normally I kept a 1/2" blade on my saw and suffered through some re-sawing tasks, but it did keep the saw a bit more versatile. Thought I would try a 3/4" blade on the saw and I am so glad that I did. Smooth cuts and fast sawing make for re-sawing heaven. Great blade and I will be back for another.